Reports suggesting a Uyghur was behind a knife attack in Changsha could lead to inflamed ethnic tensions in China. Less than two weeks after a coordinated attack by knife-wielding assailants left 29 dead and over 140 wounded in Kunming, China, another knife attack has resulted in six deaths. The latest attack took place in Changsha, the capital of China’s Hunan province. 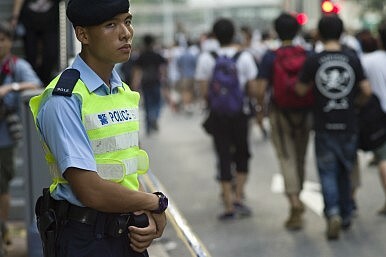 According to reports, the attack stemmed from a dispute between two street vendors in a food market in Changsha’s Kaifu district. One vendor allegedly attacked and killed the other with a knife, then turned on random bystanders, killing four. Of those victims, two died on the scene, and the other two in the hospital. The perpetrator was shot dead by Changsha police as he tried to flee. The official report in Xinhua identified the two street vendors in question as Memet Abla and Hebir Turdi, with the latter pegged as the attacker. Although Xinhua merely called the two men “non-locals,” their names suggest the two were ethnic Uyghurs. South China Morning Post also reported that the two men were selling naan bread, which is popular among Uyghurs. Unlike the Kunming attack, there is no suggestion that this was a terrorist attack, or that the incident was in any way connected to Xinjiang separatism. However, in the wake of Kunming, anti-Uyghur sentiments in China were already running high. A second deadly incident involving Uyghurs would only increase tensions—which may be why Xinhua refrained from explicitly identifying the attackers as Uyghurs. According to the Associated Press, online reports identifying the men as Uyghurs were later removed. Anti-Uyghur sentiment in China right now is at a high. Accordingly, when news broke of the disappearance of Malaysia Airlines Flight 370, some Chinese netizens began speculating that the plane had been targeted by Uyghur terrorists. Such theories were especially prevalent after it was revealed that two passengers has been traveling using stolen passports. After authorities discovered the identities of the two men in question (but before publicly releasing the information), Malaysian authorities felt the need to specifically point out the two were “not from Xinjiang, China” in response to this rampant speculation. Tea Leaf Nation notes that online theories about terrorism have been quite common, but China’s state media has been careful to point out there are no facts pointing to such a conclusion. In the wake of another deadly knife attack rumored to have been carried out by a Uyghur, these social media campaigners have their work cut out for them. Already, China’s social media networks are full of postings with variations of the phrase “Uyghurs kill again.” The “again” clearly links the Changsha attack, an isolated incident the likes of which (unfortunately) are not uncommon in Chinese cities, to the horrific Kunming attack by focusing on the presumed common denominator—Uyghurs. At a conference in Beijing, China's top leaders offered solutions for "material" and "spiritual" ethnic issues.